extreme plasma physics > News > The “Natas” of Visualization 2018 have been announced! And you don’t need to go to Belém to get them, because the best are right here! 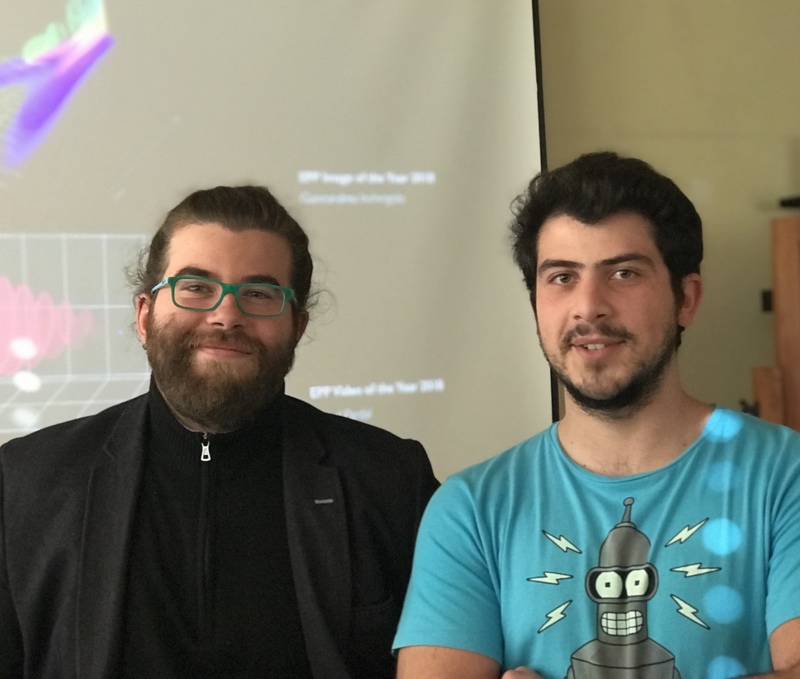 Following our tradition (see the “2014 Natas”, “2015 Natas”, “2016 Natas”, “2017 Natas”), the prizes for the winners of the image and video of 2018, the “natas” of visualization, were awarded to Giannandrea Inchingolo (left, also 2016 winner) and to Miguel Pardal (right). The term “Nata” was coined by one of the previous winners Paulo Alves: “Nata” is a tasty Portuguese pastry that everybody likes. It’s as enjoyable as having our simulations running nicely on a big supercomputer. It can also mean being at the top, at a high level, important.” Many congratulations to the 2018 winners! The images and videos have been posted on the team website here and will be posted over the next few weeks on GoLP’s Facebook page.